Glaucoma refers to the group of conditions characterized by optic nerve damage, visual field loss, and secondary to retinal ganglion cell damage, which may lead to death. According to the International Agency for the Prevention of Blindness: 2017, glaucoma is second leading cause of blindness and leading cause of irreversible blindness worldwide. The most common types of glaucoma are Primary Open Angle Glaucoma (POAG) and Primary Angle Closure Glaucoma (PACG). Moreover, PACG is most common in South-East Asian population while POAG is most common in white Caucasians and individuals of African origin. PACG is associated with a high risk of blindness as compared to POAG. Increasing number of patients with glaucoma and increasing incidences of blindness are expected to be the major driving factor for growth of the global glaucoma therapeutics market. According to the International Agency for the Prevention of Blindness, 2010 data findings, it is estimated that by 2020, around 80 million people will suffer from glaucoma, with an increase of about 20 million form 2010. Furthermore, in 2010, over 8 million people were bilaterally blind due to glaucoma, which is expected to increase to over 11 million by 2020. The significant risk of developing glaucoma increases with geriatric population, increased intraocular pressure, positive family history for glaucoma, and ethnicity. According to the American Academy of Ophthalmology (AAO), 2016: the global prevalence of glaucoma is estimated to rise to 76 million in 2020 and 111.8 million in 2040. Glaucoma may occur among the people with or without diabetes. Moreover, people with diabetic retinopathy have an increased risk of glaucoma. The condition is associated with abnormal blood vessel growth, which can result in retinopathy and leads to blockage of natural drainage of the eye. Rapidly increasing geriatric population is one of the important factors for increasing prevalence of glaucoma, which in turn is projected to drive growth of the glaucoma therapeutics market in near future. For instance, according to the International Diabetes Foundation (IDF) 2017 statistics, the number of people with diabetes aged between 20 to 79 years are increasing worldwide. Among which, Africa (156%) is accounted to register the highest diabetic population, followed by Middle East (110%), South East Asia (84%), Latin and Central America(62%), North America (35%), Europe (16%), and Western Pacific (15%). Some of the key players operating in the glaucoma therapeutics market include Valeant Pharmaceuticals International, Inc., Allergan Inc., Merck KGaA, Fera Pharmaceuticals, LLC, Teva Pharmaceutical Industries Ltd., Pfizer Inc., Aristo Pharmaceuticals Pvt. Ltd., Santen Pharmaceutical Co., Ltd., Aerie Pharmaceuticals, and Novartis AG. Key players in the market are focusing on organic growth strategies in order to gain maximum market share and retain leading position in the market. 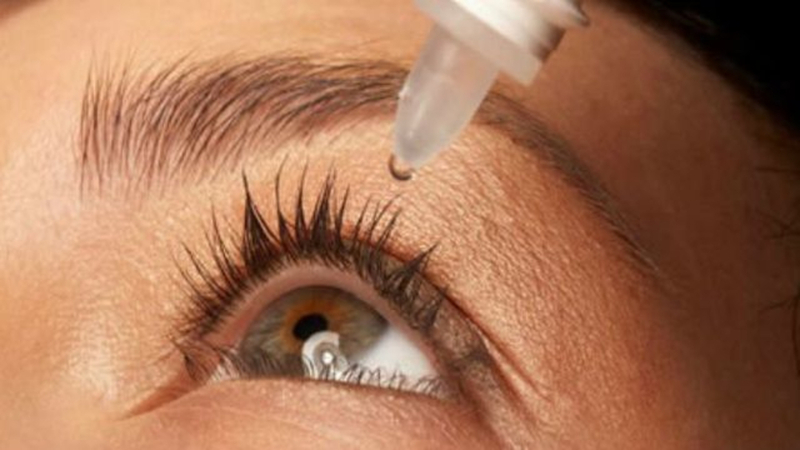 For instance, in December 2017, Aerie Pharmaceuticals, Inc. received the U.S. Food and Drug Administration (FDA) approval for Rhopressa (netarsudil ophthalmic solution) 0.02%, indicated for lowering of elevated intraocular pressure (IOP) in patients with open-angle glaucoma or ocular hypertension.